In eighteen forty-eight, while James Polk was president, there was a great constitutional debate in the United States. It arose over slavery in the new territories. Southerners argued that they had the right to take slaves into New Mexico and California. Northerners opposed any further spread of slavery. The question was this: did Congress have the power to control or even ban slavery in the new territories? There seemed to be no answer to the problem. Everyone agreed that governments had to be organized in the territories. But northern and southern leaders could not settle their dispute over slavery. Now, with this week's program in our series, here are Jack Moyles and Jack Weitzel. Senator John Clayton of Delaware proposed to the Senate that it name a special committee on the question of slavery in the new territories. Both parties -- the Whigs and the Democrats -- had the same number of senators on the committee. Senator Clayton was its chairman. South and North were equally represented. After six days, Clayton's committee agreed on a compromise bill. It proposed that Oregon be organized as free territory. Slavery there would be illegal. And on California and New Mexico, the bill proposed this: they could be organized as territories. But their territorial legislatures would not have the power to act on the issue of slavery. All questions on slavery in these two territories must be decided by the United States Supreme Court. Not everyone believed this plan was a good one. 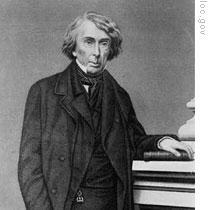 Some northern senators believed that Chief Justice Taney would decide for slavery. Southern senators were just as sure that Taney would decide against slavery. Many Whigs in the House of Representatives opposed the plan, because they feared that the political dispute over slavery would destroy the Supreme Court. The Senate approved the compromise bill. But the House rejected it. After long debate, Congress finally approved territorial government for Oregon. And it voted that Oregon should be free territory, with slavery illegal. The vote on the Oregon bill was very close. It passed in the Senate only because two men from slave states voted for it. They were Senator Thomas Benton of Missouri and Senator Sam Houston of Texas. Senator John C. Calhoun said it was a bad defeat for the South. But what was worse was the fact that it was caused by the votes of two southern senators. Soon after, at the end of August, Congress ended its session. And the nation's leaders prepared for the national election of eighteen forty-eight. The country moved quickly into the presidential campaign. 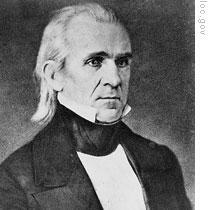 President Polk was old, tired and in poor health. He had decided not to try for a second term. Polk felt he had done his duty. During the first days of his administration, he listed the things he planned to do as president. First, he wanted to reduce the tax on imports. Second, he wished to establish the independent treasury, which the Whigs had voted out. Third, he hoped to settle the Oregon border dispute with Britain. And fourth, he wanted to get California for the United States. Less than four years later, he had succeeded with each item on his list. The United States and Britain agreed on a compromise in the Oregon dispute. In eighteen forty-six, he was able to establish the independent Treasury again, where the government could keep its own funds. No longer would government funds be kept in private banks. That same year, Polk was able to get Congress to approve a bill that greatly reduced the taxes on imports. And the peace treaty with Mexico gave the United States not only California, but also New Mexico. So, Polk believed he had served his country well. Polk, however, had not served his party well. He was not a good politician. He failed to unite the disputing groups of the Democratic Party. What was worse, he let them move even farther apart. There seemed to be no strong Democratic candidate who could unite the party. At one extreme were the supporters of former President Van Buren -- New York Democrats opposed to slavery. They were called "Barnburners." They got this name from their political opponents, who charged that they were willing to burn down the barn to get rid of pro-slavery rats. At the party's other extreme were the Democrats of the South, led by John C. Calhoun of South Carolina. In every state, the Democrats were divided between those who supported the administration and those opposed to it. The Democrats met in Baltimore in May eighteen forty-eight to choose their presidential candidate. Several men were proposed as possibilities: Polk's Treasury Secretary Robert Walker of Mississippi; John Dix of New York; and Senator Lewis Cass of Michigan. On the fourth vote, the convention chose Cass as the party's presidential candidate. Cass was sixty-six years old. He was a middle-of-the-road Democrat. He was a northerner who did not oppose slavery. 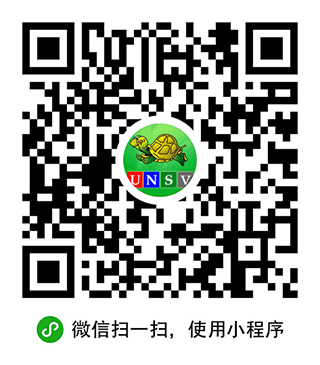 On the question of slavery in the new territories, Cass believed that the people of the territory should make the decision. The Barnburner Democrats of New York refused to accept Cass as their candidate. They walked out of the Baltimore convention. Senator Henry Clay -- three times the Whig Party choice for president -- expected to be its candidate again. The old members of the party still supported Clay. But young Whigs felt that a new candidate was needed. Some Whig leaders remembered how William Henry Harrison had won the presidency for the party by campaigning as a military hero. The country had a new military hero now. 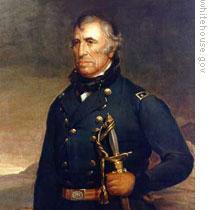 "Old Zach" -- General Zachary Taylor. General Taylor and his men never lost a battle in the Mexican War. Several times, he defeated Mexican forces much larger than his. After the general's first victory, New York political leader Thurlow Weed happened to meet Taylor's brother on a Hudson River steamboat. That meeting had a most important effect on future events. Weed asked Joseph Taylor if his brother was a political man. Joseph answered that "Old Zach" was not. He said his brother belonged to no party, that often he did not even vote. He said Zach supported Henry Clay and did not like Andrew Jackson. Joseph said his brother felt strongly that American products should be protected against competition from foreign imports. He felt so strongly about it, Joseph said, that he refused to wear any imported clothing. Weed made a quick decision. "Your brother," he said, "will be our next president." "That is preposterous. My brother knows nothing about government or civil affairs. When I tell you," said Joseph Taylor, "that he is not as fit to be president as I am, you will see how foolish this idea is." Weed, however, did not think his proposal was foolish. He began to build support for General Taylor among Whig politicians. When Old Zach first heard of efforts to make him president, he agreed with his brother. The idea was foolish. "I would not accept such high office," he said, "even if it were offered." This statement he made in June, eighteen forty-six. A month later, he was saying he was not a candidate for president -- and never would be. He said he felt it was wrong to make a military man president. But, a few months later, Taylor changed his mind. He told his son-in-law in December: "I will not say I would not serve if the good people were to be so unwise as to elect me." By July of eighteen forty-seven, Old Zach had made up his mind. He told a friend: "I am satisfied that if the election were held now, nothing could prevent me from becoming president." Senator Clay did not think Taylor had the ability to be president. But Clay knew well how the voters loved a military hero. Senator Clay was seventy years old. He knew this would be his last chance to become president. He worked very hard to get the support of Whig leaders. The Whig Party held its convention in Philadelphia in June of eighteen forty-eight. Four names were put before the convention: General Zachary Taylor, Henry Clay, General Winfield Scott and Daniel Webster. That will be our story next week. Our program was written by Frank Beardsley. The narrators were Jack Moyles and Jack Weitzel. Transcripts, MP3s and podcasts of our programs, along with historical images, are at www.unsv.com. Join us again next week for THE MAKING OF A NATION -- an American history series in VOA Special English. James Polk did his job well at least by regarded himself. during the first days of his administration, he listed the things he planned to do as president. he done them one by one. Now General Zachary Taylor was on the road for the new prisedential election. he was a military leader and at that time people were in favor of the heroes of militery leader who won the battles against enemies for the prisedents of the nation.